I hope you got all your presents wrapped and everything ready for Christmas! I don't know about you guys, but I am ready for a beer or a good drink right about now! Whew! 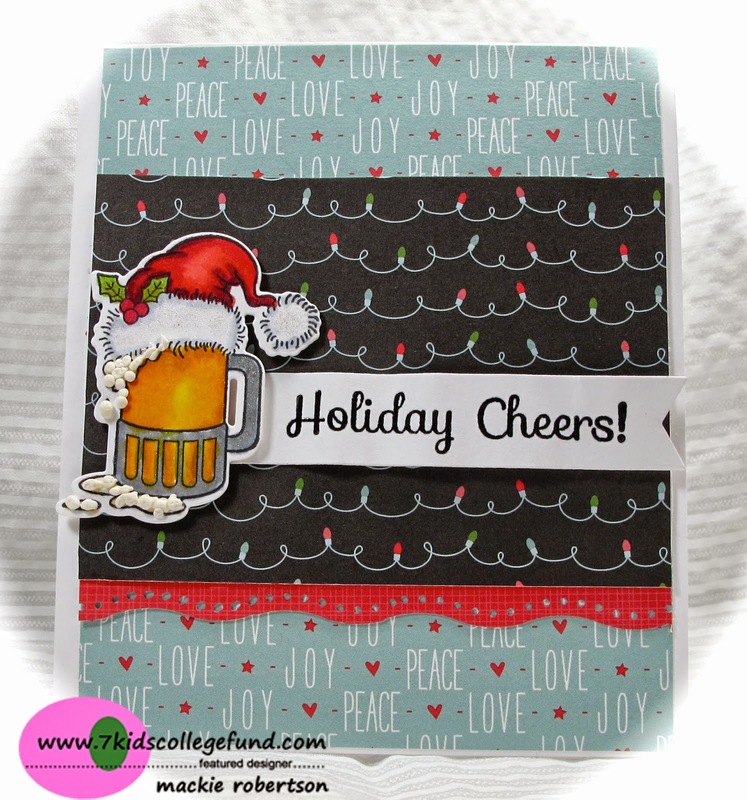 And I thought this new stamp set-Holiday Cheers (Your Next Stamp) was perfect for my last Christmas card to celebrate! Now it's time to relax and enjoy all this hard work we have done to get ready for this wonderful, joyous season! I hope you all get to enjoy this time with family, friends and loved ones! HA how fun!! Have a Merry Christmas Mackie!! Hehehe...and cheers to you, Mackie...great fun card! Merry Christmas to you and family! I would LOVE to have a beer with you! Hope you have a FABULOUS Christmas my friend! Cute card! Such a fun Christmas card Mackie! I could go for a cold one right now! Wishing you and your family a Merry Christmas! What a super cute card Mackie. Love that image and the foam! Great coloring.